Kiveton Community Woodland, Rotherham – Walk. A 3-hour family ramble around lakes, churches and woodland in South Yorkshire. In a woodland full of activity for all the family, this 5.9 mile / 9.4km walk should take around 3 hours at a leisurely pace. There’s both mature and new woodland, natural grassland and a variety of wetland including fishing ponds – children will love the natural play area. Best for: Active families will enjoy the natural play area and the buggy fit classes, and anglers will find the perfect fishing spot here. You’ll be surprised: To stumble across a Brass Band Festival in the summer months, and a range of community activities at the park’s performance amphitheatre. 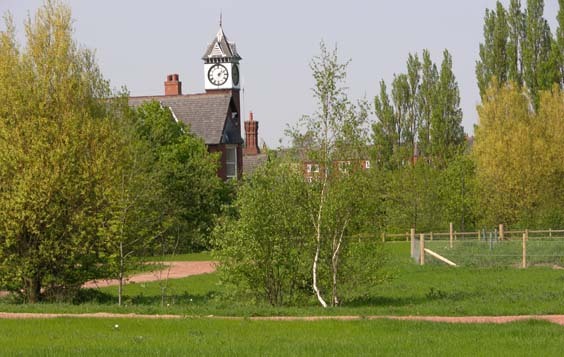 Why you should visit: This is a much-loved and very active woodland which holds a number of community events, including The Kiveton Brass Band Festival and the urban festival, Urbfest. 1. 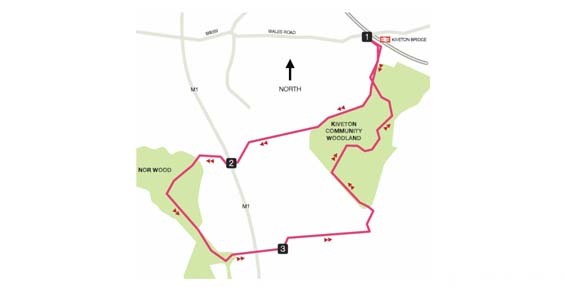 Enter Kiveton Community Woodland and continue past the fishing lakes and car park to the road. Cross over to the kissing gate and join the Cuckoo Way – you will pass through an area of wetland to meet the Chesterfield Canal, at the bricked-up Norwood Tunnel. Although now closed, Norwood Tunnel once held the joint title of Britain’s longest canal tunnel, along with James Brindley’s Harecastle Tunnel – with three million bricks used in its construction..
2. Turn right along the road and then right again at the footpath sign – the footpath bends left up to a road (without a pavement). Turn right at this road and look for the signed public footpath at one of the bends – ignore the obvious gap and follow the field side of the hedge to the footpath sign rejoining the road. Take the signed footpath on the right immediately beyond the entrance to Oaklands Farm. 3. Look for the kissing gate, pass through the gate and bear slightly left to the next gate, but stay inside the field and walk along the backs of the houses to the next road. Turn right, then left, into Glebe Farm Close – follow the pavement through a gate and into the grounds of a house. 4. You will now be in Harthill village and beside All Hallows Church, which dates back to 1085 – to your left is the War Memorial. Beyond that the village sign the intricately carved wooden parish board – all well worth viewing. Cross the road and double back to the Beehive pub (closed Mondays, but serving lunches from noon and beer brewed in the village and nearby Welbeck Abbey). 5. Turn left immediately beyond the Beehive pub, past the picnic tables, and straight on alongside the fence. Cross the stream and continue over the middle of the long field. Keep this exact same line through the pastures to the houses, passing between them and through a wooden kissing to the road in Woodall. At this road, turn right and continue along the road, past the barrier and along the cycle route. 6. You will next cross an open field and turn right at the cross-path 10m before the multi-waymarked gatepost. The trees on your left hide a sunken former mineral railway line. 7. Bear right at the next junction and right again, after 50m, alongside the wood. Cross the footbridge and branch left after 20m into the wood – following the main path as it curves round and ascends. Keep to the right as another path joins and then branch right after 10m into the open to view the beautiful lake with a central island. 8. At the lake, turn left to join the other path, and left again when you meet a narrow brick-red path. Follow this path past more wetland, then downhill, round a sharp left bend to the bottom of the hill. Cross the grey path, slant right up the hill and keep right to reach the amphitheatre. 9. 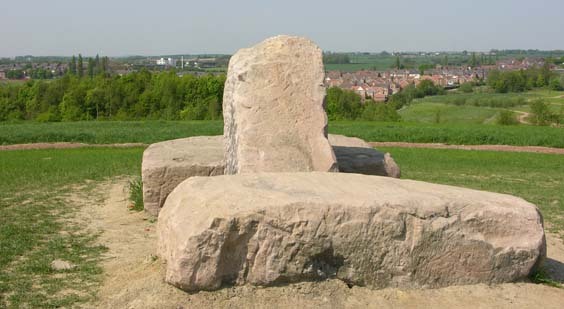 If you follow the right-hand edge of the amphitheatre and then straight on, you will find some picnic tables and stone circle – a perfect place to stop and rest at the end of your walk. Approximately 3 hours at a leisurely pace.